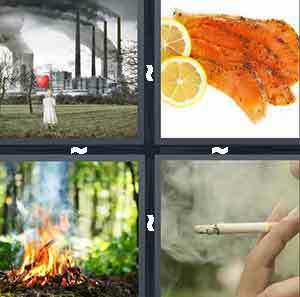 What is the answer to the 4 Pics 1 Word level with Pollution , Smoked salmon, Fire, and Smoking cigarette? What is this one ????? ?